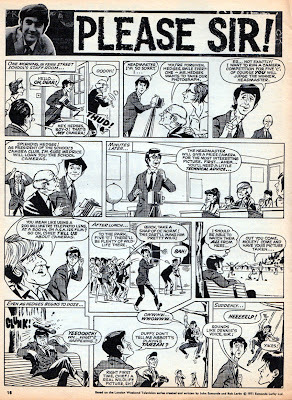 Pity the comic fans of 50 years ago. 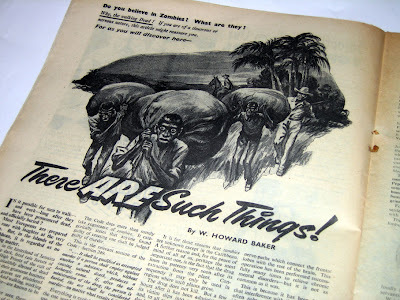 No internet forums, no fanzines, and, worse, no comic conventions in the UK. This year, we're only in the first half of 2011 and there are no less than three comic expos coming up over the next few months. First one is the Exeter Comic Expo (part of the Animated Exeter Festival), a one-day event at the Southgate Mercure Hotel 11am to 4pm on Sunday 20th February. Guests include John Higgins, Shaky Kane, Dom Reardon, Kirsty Swan and more. 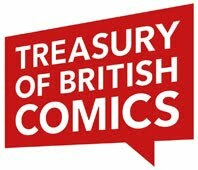 A few days later on Saturday 26th February it's the turn of Wales to host an event with the Cardiff International Comic Expo at the Mercure Holland House Hotel, Cardiff, 10am - 11.30pm. Guests include John Ross, Mike Collins, Rob Davis, Matt Irvine and others. 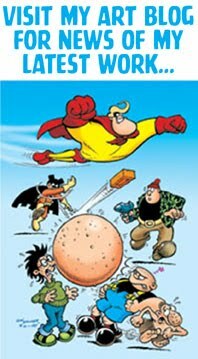 Then in May the Bristol International Comic Expo takes place once again at the Ramada City Inn & the Mercure Holland House Hotels. A two day event on May 14th - 15th with guests Rick Veitch, Ron Marz, Dave Gibbons, John Higgins, John M. Burns, Syd Jordan, Alan Davis, David Hine, and many more. 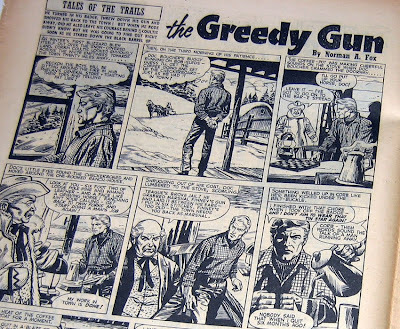 There's one solution to the lack of modern British adventure comics, and that is: if you have the talent, produce your own. 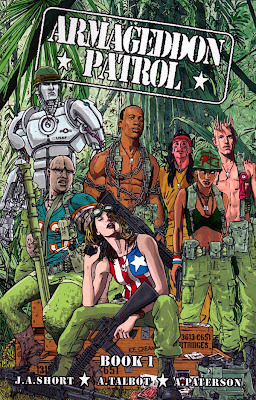 That's what Kult Creations have done with the Armageddon Patrol graphic novel, collecting four issues of an indie comic from a few years ago. The 100 page black and white trade paperback is scripted by John A. 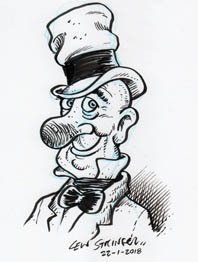 Short, a professional writer who has contributed comic strips to various publications from Toxic to Mayfair. 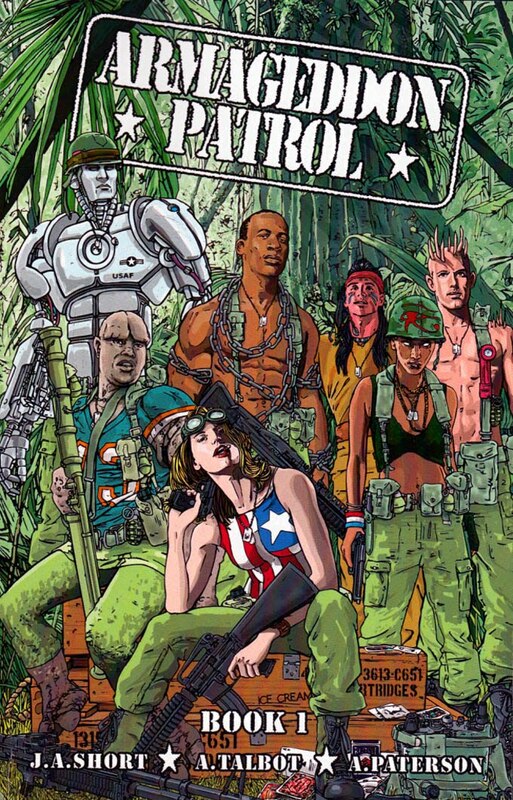 In Armageddon Patrol he deals with the scenario of what might have happened if superheroes had fought in Viet Nam. The book features four stand-alone stories (although it's best if they're read in order) with artwork by Alwyn Talbot on chapters 1, 2, and 4, and Alex Paterson on chapter 3. Armageddon Patrol begins with Lieutenant Wynonna Stone, codename Maiden America, deployed in Viet Nam where her experiences soon harden her. 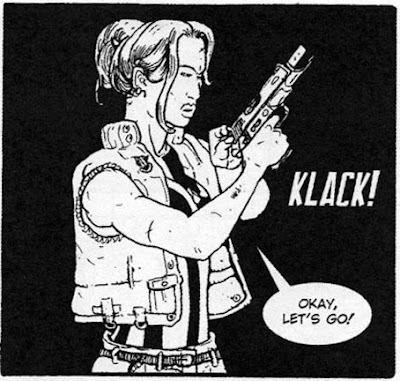 The following chapter introduces other super-powered individuals who will make up the unit. 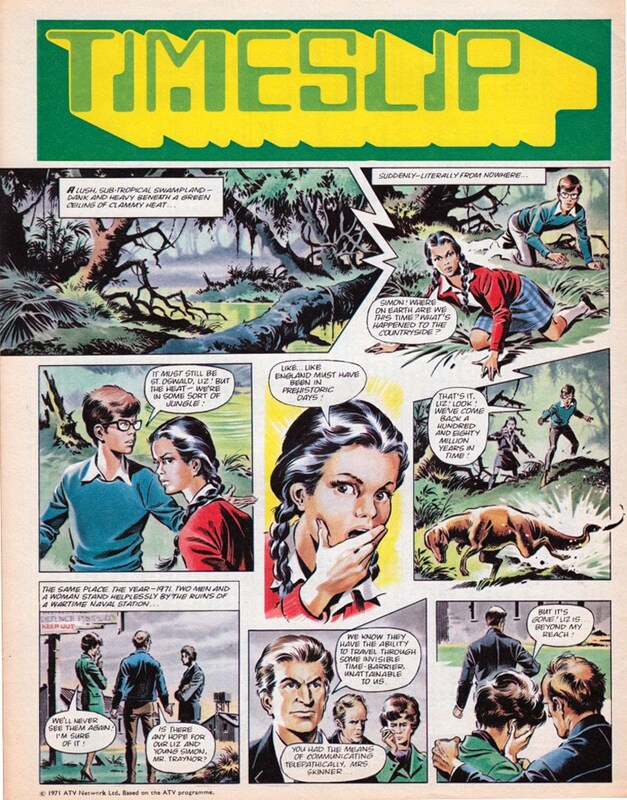 It should be pointed out that Armageddon Patrol is not a children's comic. The violence is brutal and the language strong and realistic. Alwyn Talbot's artwork shows a remarkable attention to detail and he's certainly an artist to watch. 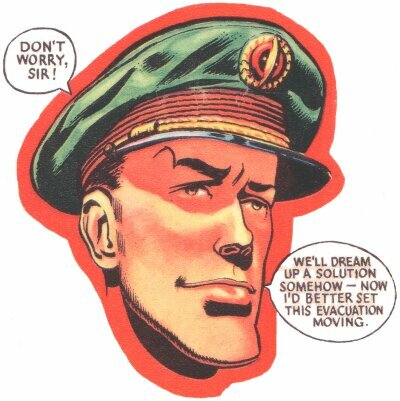 It's good to see Alex Paterson here too, showing a different side to his talents than the humour work he did on Rex for Toxic. 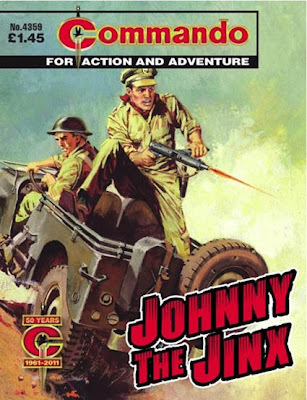 John Short's writing skill is on top form with natural sounding dialogue and a smooth storytelling style that makes the book a real page turner. My only criticism is that we don't see the Patrol act as a team that much. 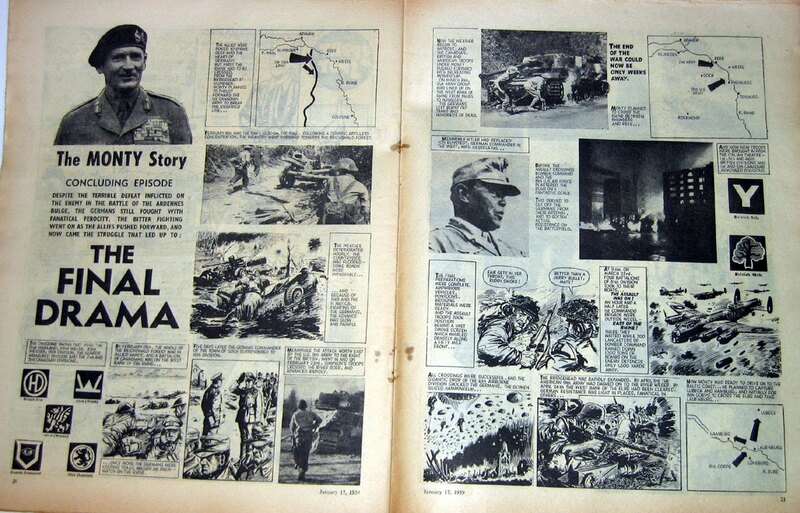 They don't come together until halfway through the book and are only seen as a fighting unit in the final chapter. However don't let that put you off. 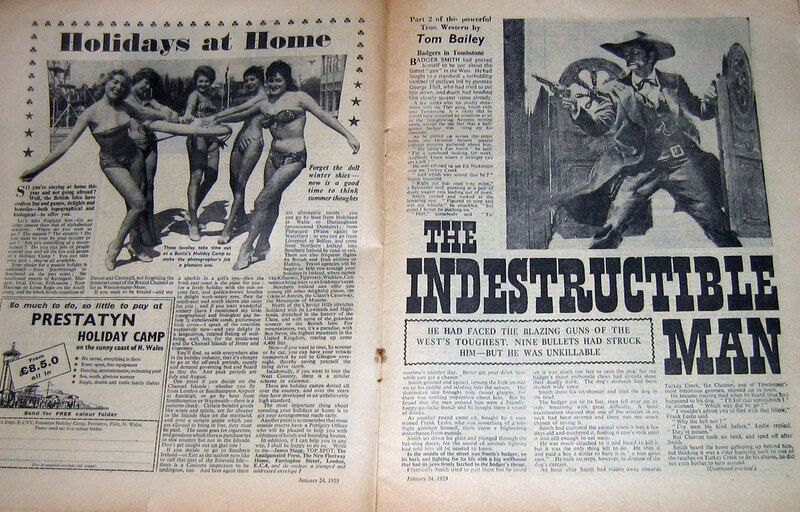 The main character is Wynonna Stone, and the story is mostly about her and how the war affects those around her. All in all it's a good, absorbing read. 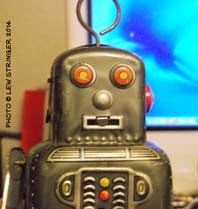 However the company also produced another, similar toy, but one which required no batteries and produced images in 3-D! The examples shown below were a Christmas present I had in 1964. 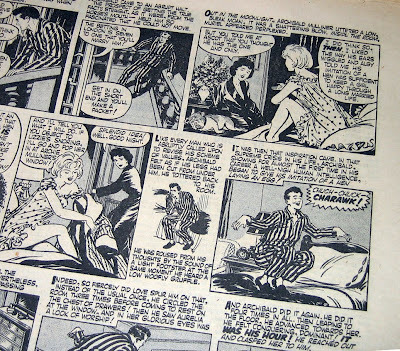 There's a photo of my viewer above, and here are the six strips that came with it. 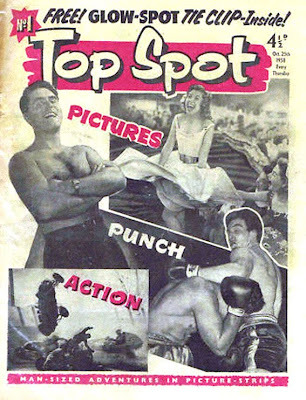 As they were fed into the viewer in a downward motion you'll have to read each one from bottom to top. 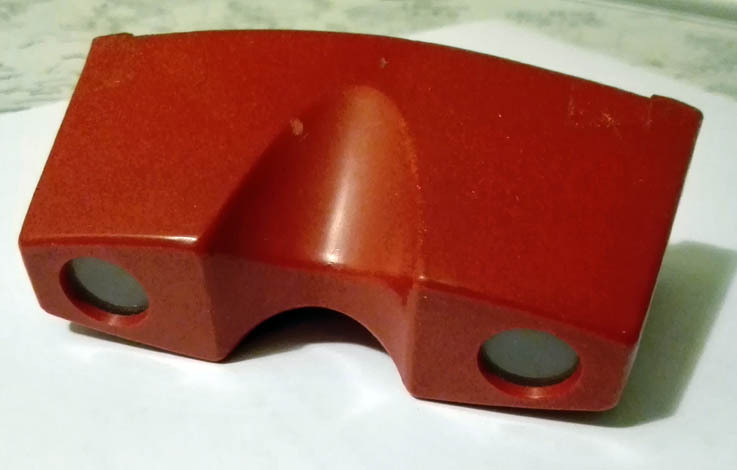 If you cross your eyes whilst doing so you might even achieve a 3-D effect, but this blog can accept no responsibility for damage to eyesight or your eyeballs falling out of your ears. 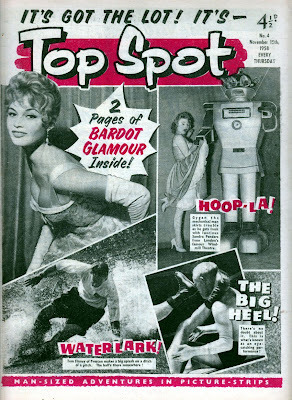 Next, here's Bozo the Clown, very popular in the United States at the time. The third one was Mr.Ed the talking horse, based on the popular American live action sit-com. 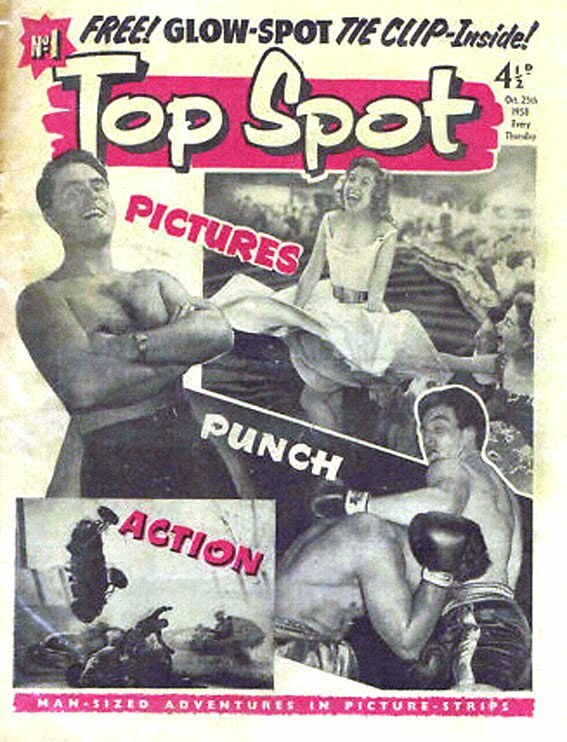 Number 4 features Superman, who needs no introduction. 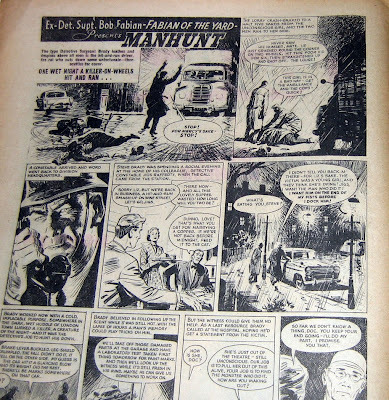 This must have been the very first Superman strip that I saw. 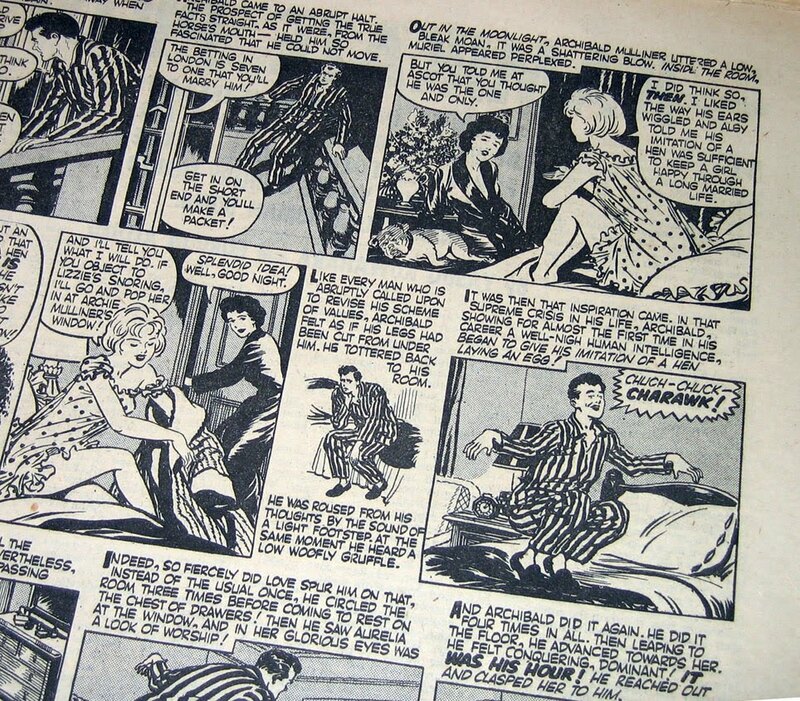 To give the strip its due, it manages to explain the basic setup of Lois/Clark/Superman in just seven panels and with minimal dialogue. 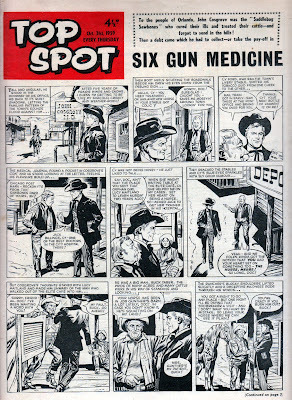 A perfect introduction to the character and a lesson that some of today's writers of decompressed multi-issue story arcs might learn from. Too bad they coloured the chest symbol wrongly though. Number five is Gooney Bird, presumably based on the mascot of Kenner toys. 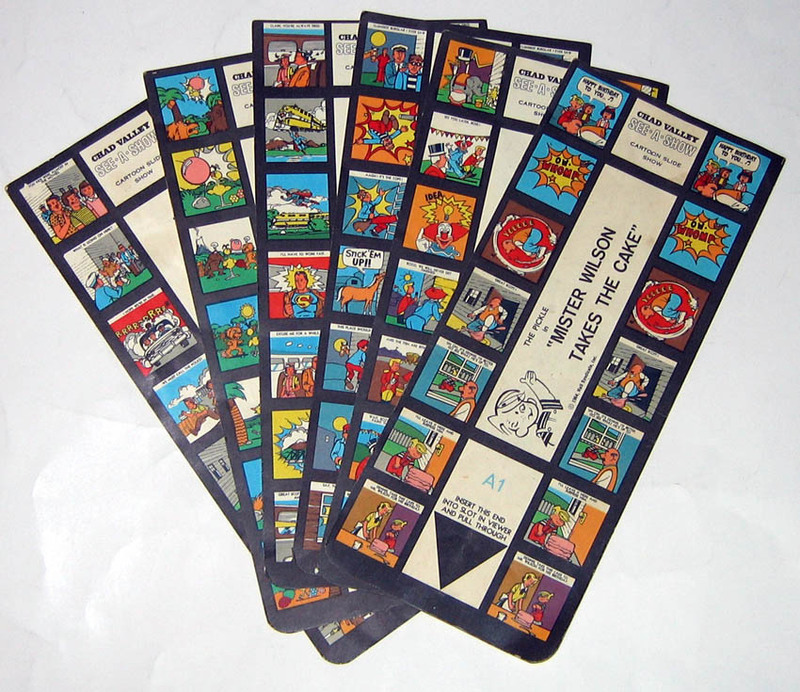 Other variations on the toy were made with different strips including Marvel heroes, The Bionic Woman, and more. If you Google for "Kenner" + "See a show" you'll find various items on the internet about it. 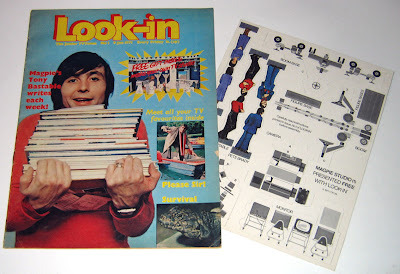 A very simple toy, but in the pre-iPad age of the 1960s it seemed like the work of magic 3-D gods. Well, at least it did when I was five. 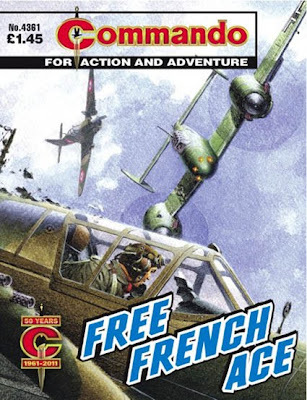 FRANKENDRAC that is! The fanged felon returns to bother Team Toxic in the latest issue of Toxic, on sale now. 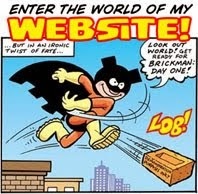 As you can see, the 32 page issue is bagged (as are most comics these days) and contains two free gifts; a pack of Frikis to play with, and a 64 page joke book. 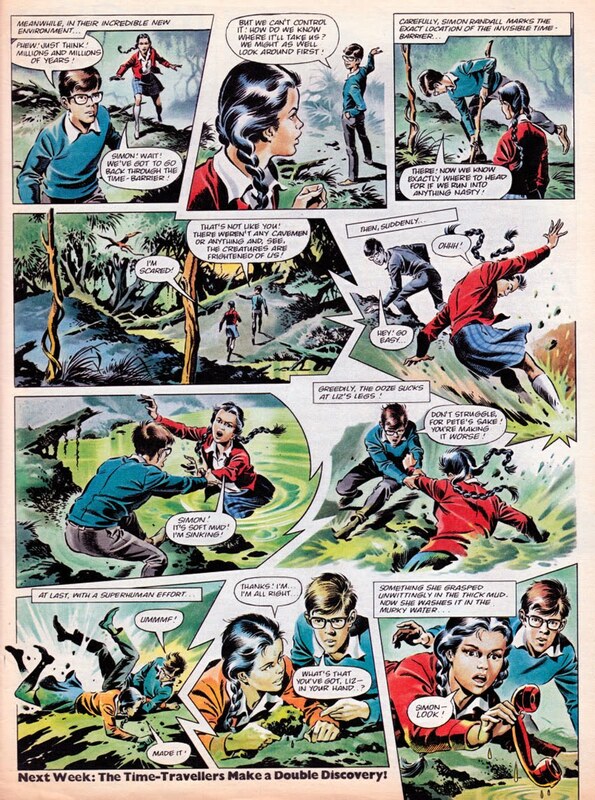 There's also a bonus item of a 40 page booklet featuring the opening chapter of Mortlock, a new children's book written by Jon Mayhew for Bloomsbury. 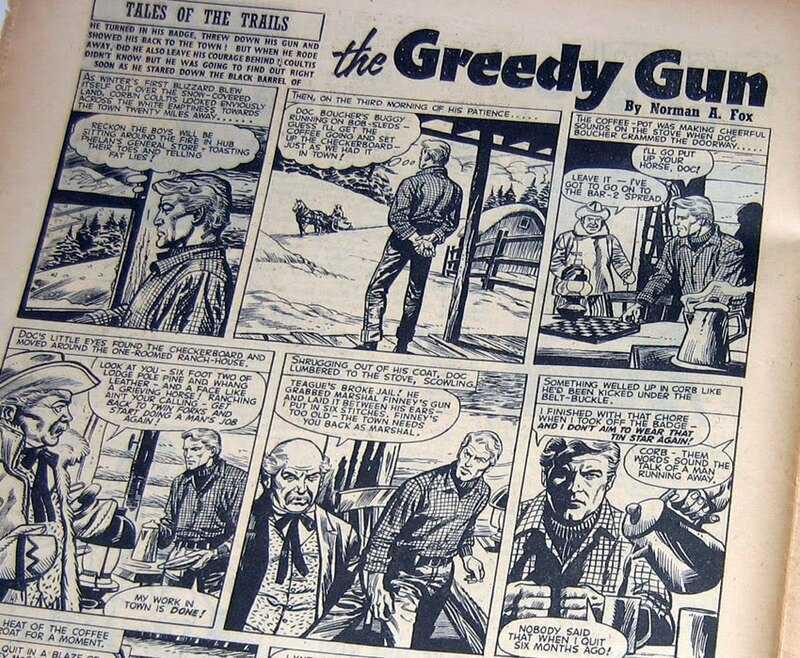 I know a lot of older comic collectors despair that magazines such as Toxic have replaced comics such as Victor and Cor!! 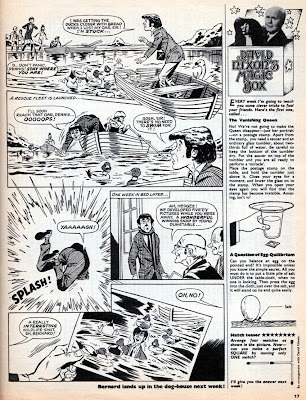 and I can appreciate that, but British children's comics have always adapted to suit the society they exist in. 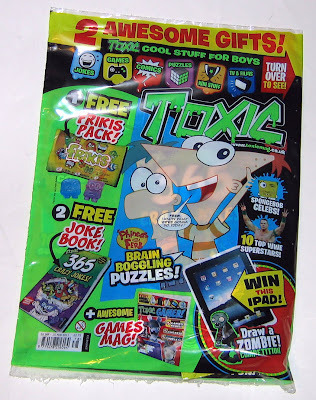 Launched in September 2002 Toxic has now been running for over eight years. Quite an achievement for any publication in the 21st Century. Toxic No.178 • £2.75 • Available from WH Smith, Asda, Tesco, and many other retail chains and newsagents. 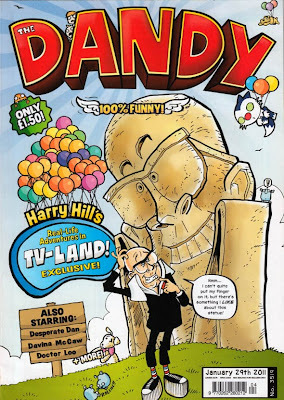 Here's a sneak peek at the cover of this week's issue of The Dandy, on sale from Wednesday 26th January. 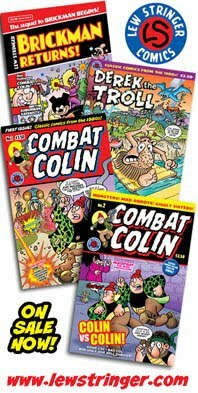 Under a new cover by Nigel Parkinson there's the usual mixture of strips including Bork, Desperate Dan, Pre-Skool Prime Minister, and more. 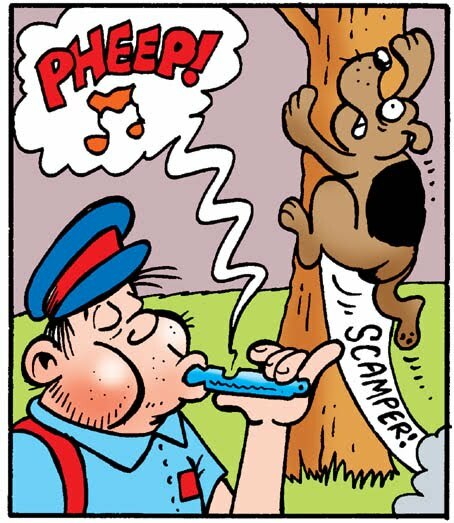 With a script by Philip Madden and artwork by me, Postman Prat has fun teasing dogs with a dog whistle. Will it rebound on him with well-deserved hilarious consequences? This is The Dandy. Of course it will! 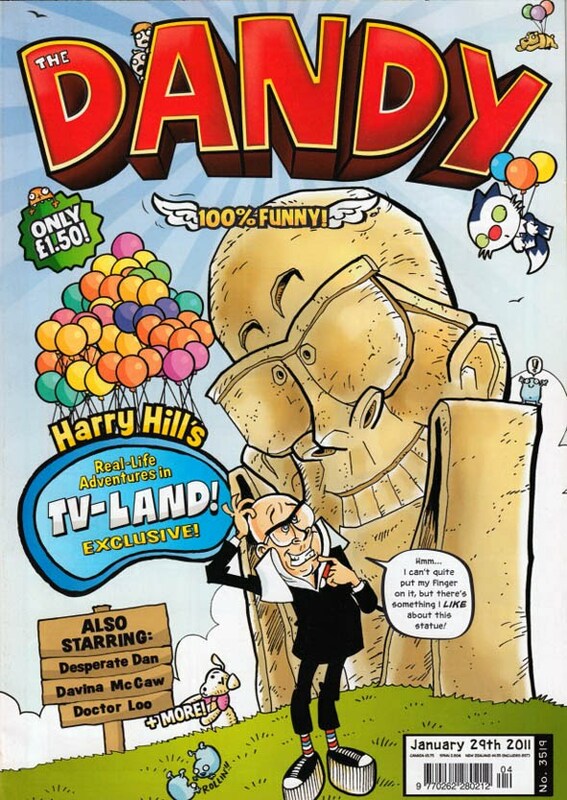 The Dandy No.3519 32 full colour pages £1.50 On sale Wednesday. 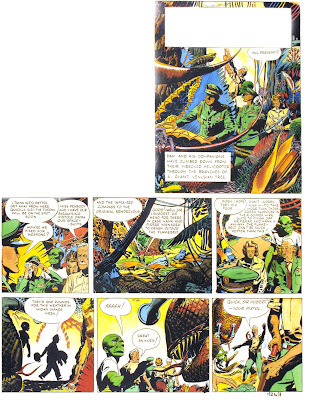 Of all the classic British adventure strips, Dan Dare of the original Eagle is the one that the public often most fondly remember. 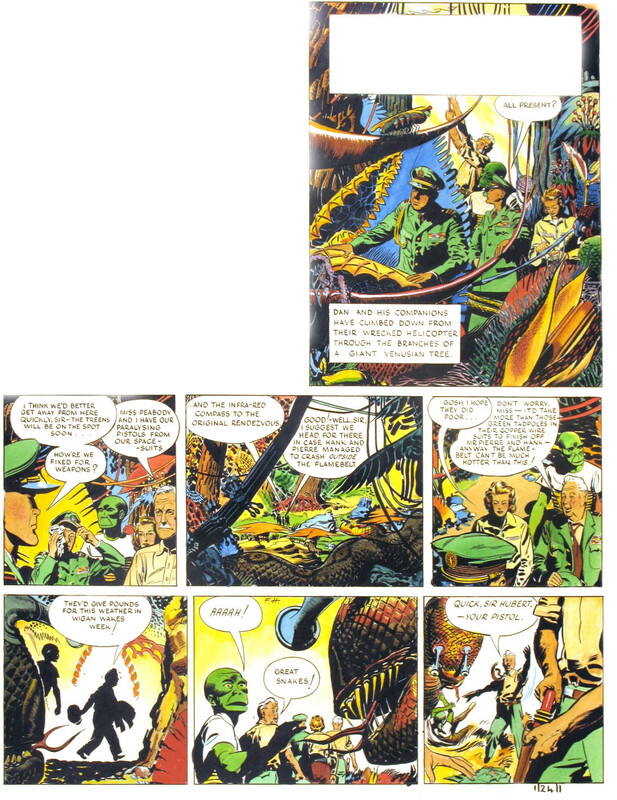 Quite understandable, considering the care and dedication that Frank Hampson and his team put into each set of pages. 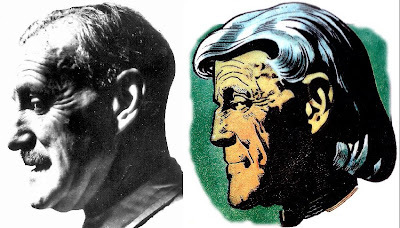 In 1985, Alistair Crompton wrote The Man Who Drew Tomorrow, telling the story behind Dan Dare and the man who created him. 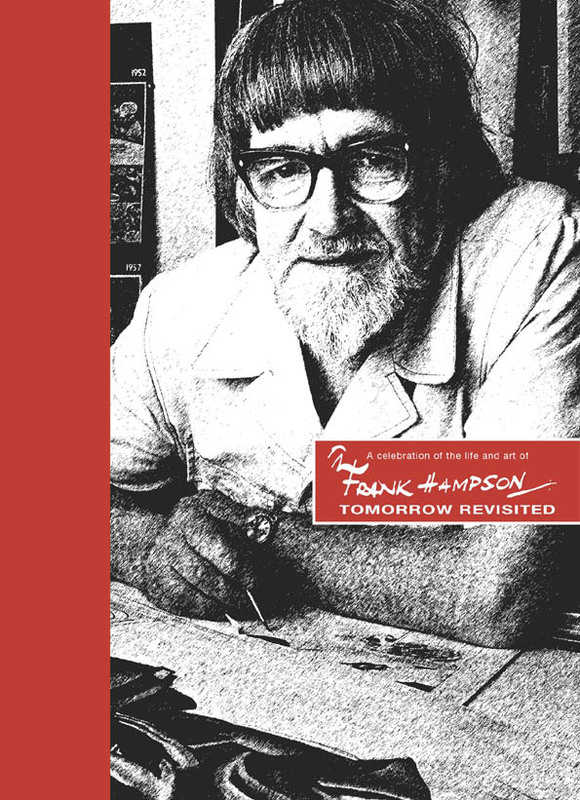 Now the author revises and expands the subject with Tomorrow Revisted: A Celebration of the Life and Art of Frank Hampson, a hardback with over 200 pages. "...when PS Publishing invited me to update the work, the Hampson family was happy to collaborate, for which I am grateful. I believe Tomorrow Revisited tells the whole story of Frank’s career, and I hope some of my readers share the rage and disgust I feel over the way Frank was ousted from Eagle in 1962. The outrageous corporate firing did irreparable damage to his health, and scoured out of him a great deal of his talent." 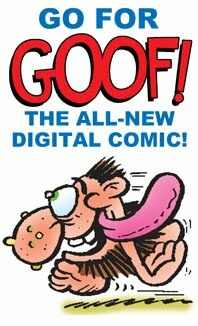 • Your chance to study some of the artwork of the best strip cartoon storyteller in the world. 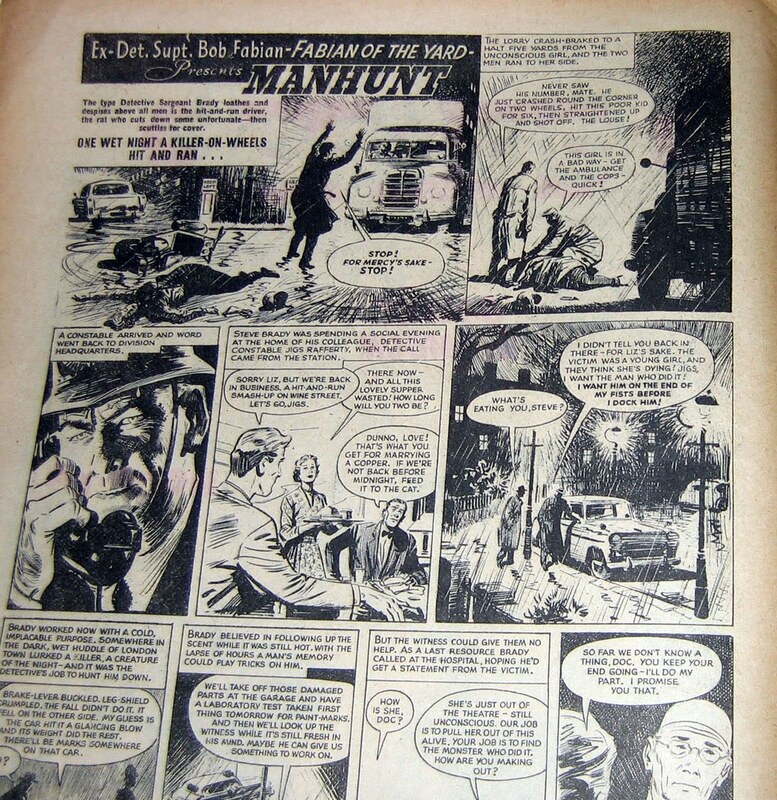 • Some of his best artwork, reproduced as it was meant to be seen, so much more complete than in comics. Available on Amazon where you can check out the five-star reviews. Gremlins, leprechauns — call them what you like — they all had it in for Lieutenant Johnny Dawson. He was the sort of bloke whose Sten would suddenly jam for no reason, or he’d be the one in a million who’d be issued with the grenade with a faulty fuse. 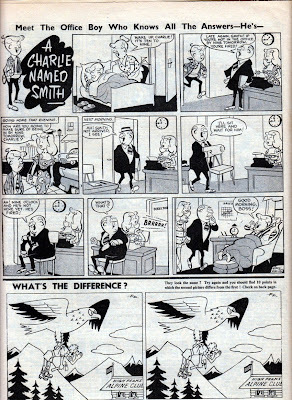 Remembered by Calum/the editor from childhood and re-issued as part of the 50th anniversary programme. 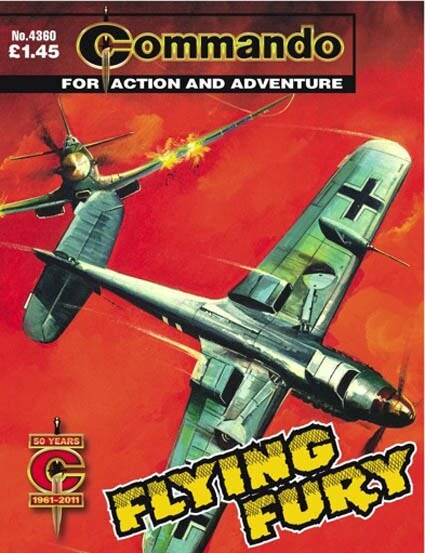 All the RAF needed was something impossible…a pilot who could out-fly and out-fight Germany’s best! 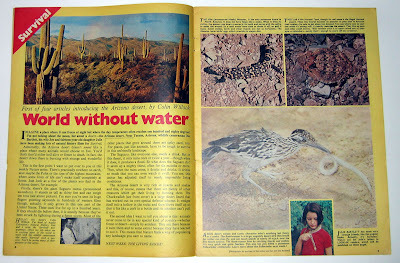 Originally No 384 from 1969, re-issued as No 1107 in 1977. 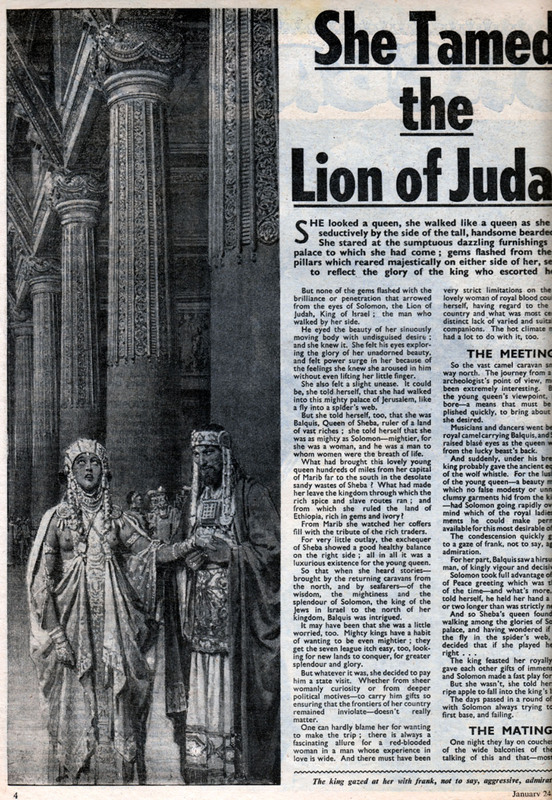 Chosen by former editor George Low to be re-issued as part of the 50th anniversary programme. This was the late José Maria’s first book for Commando. The working title for this tale was The Goum Show — Goumiers are often referred to as Goums. 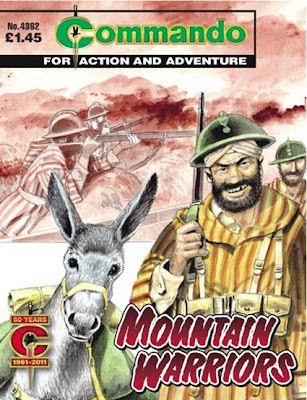 And it is not the first Commando cover to feature a donkey. "Look out for Look-In!" 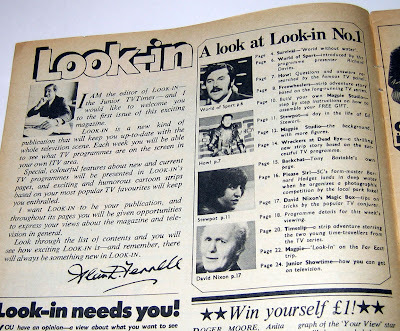 was the advertising blurb of 40 years ago when Independent Television Publications Ltd launched their "Junior TV Times" on Friday January 8th 1971. 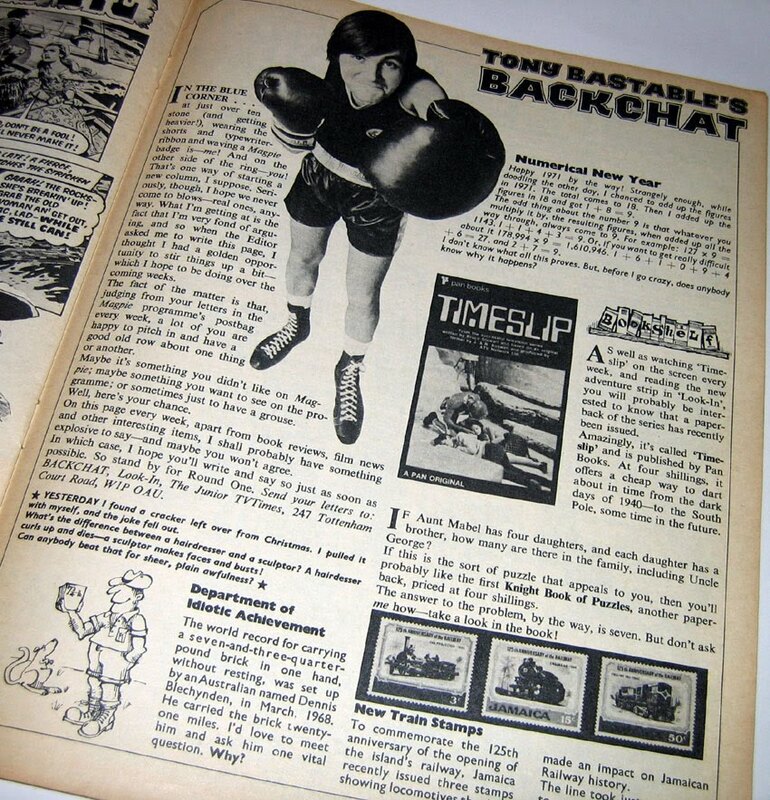 If memory serves me right Look-In was advertised in the TV Times, and of course on television, so there was little chance of parents and kids not being aware of the new 24 page comic/magazine. 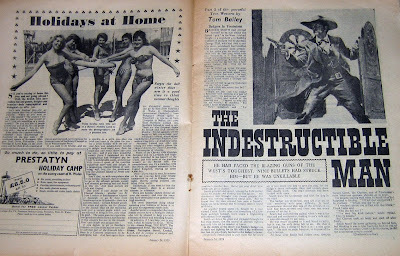 I've covered Look-In on this blog before (see links at the end of this post) but as a 40th anniversary celebration let's look into the contents of that very first issue. 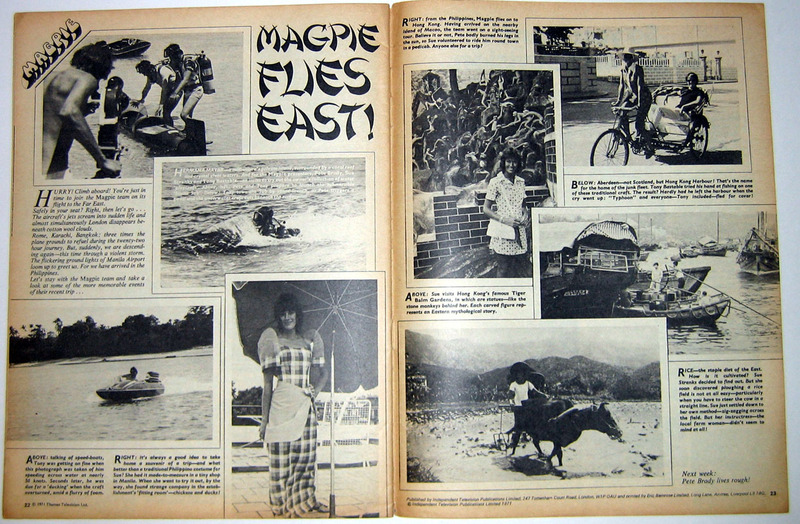 The cover image of Magpie presenter Tony Bastable holding a pile of books wasn't exactly the sort of dramatic or funny image that kids usually associated with comics at the time. 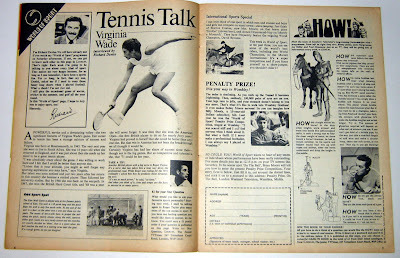 Fortunately the contents were better. Look-In was clearly something different from the outset; another tv comic but with features, and often features about television. 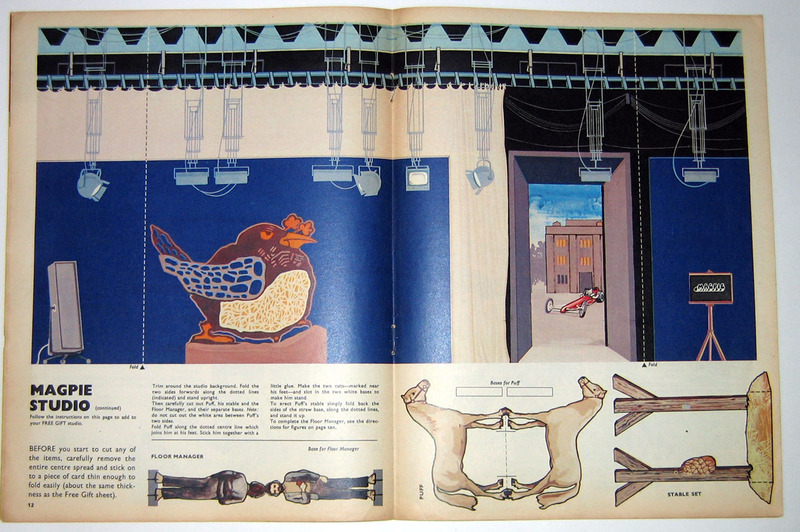 Even the free gift was a model of the Magpie studio. 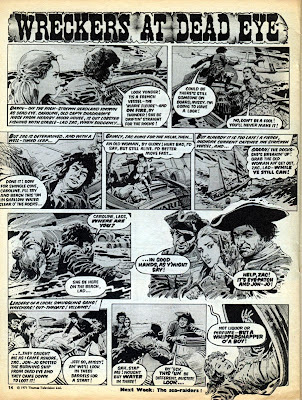 This was a comic for the tv generation. 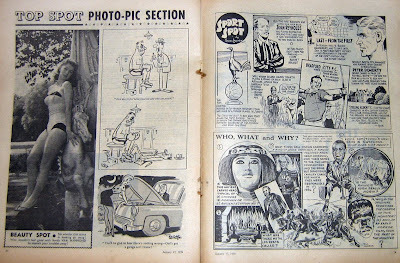 The editor was Alan Fennell, who had been the original editor of another individualistic tv comic, TV Century 21. 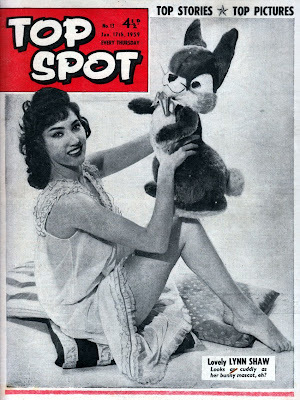 A television writer himself, Fennell had his finger on the pulse. 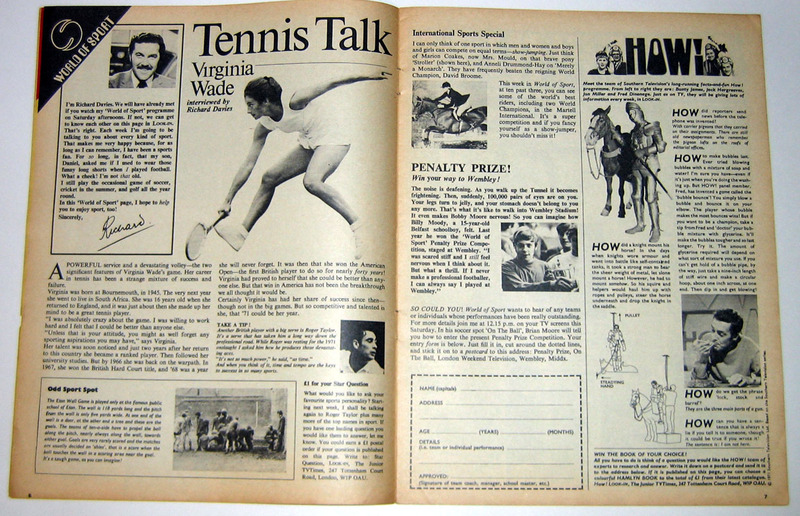 On page two he presented the editorial himself. 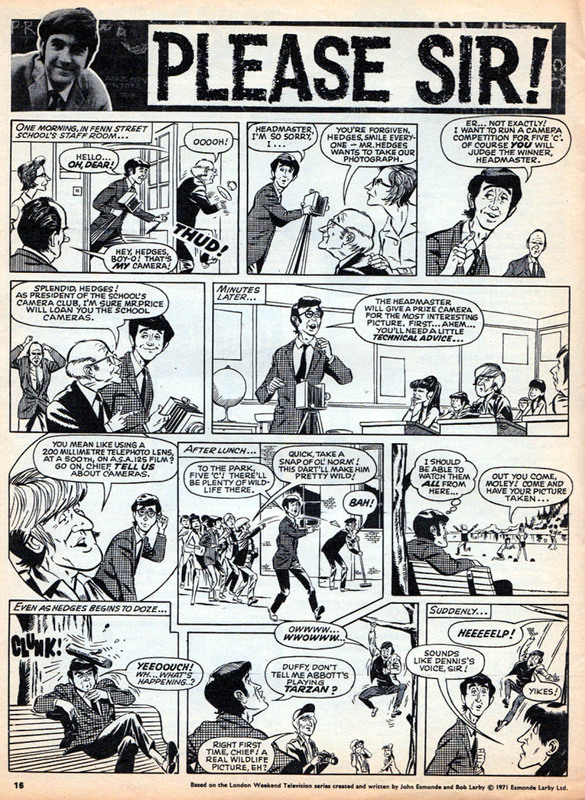 No aliases or fictitious "office boy" dialogue as many other comics had done. This was the editor talking directly to the readers and treating them with intelligence. 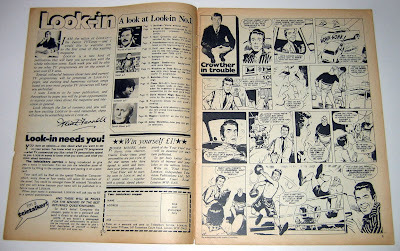 Opposite, on page 3, was Look-In's first strip; Crowther in Trouble, "by arrangement with Lesie Crowther" featuring the ex-Crackerjack presenter in comedy stories drawn by Tom Kerr. 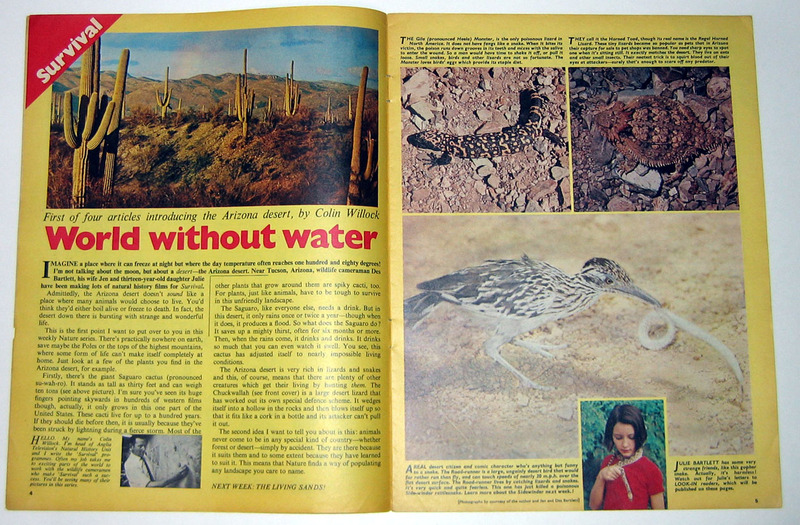 Pages 4 and 5 featured Survival, a very popular ITV evening natural history show of the time. 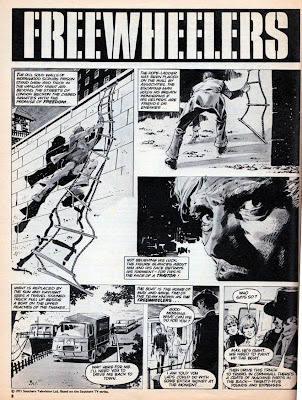 On pages 8 and 9, Look-In's first adventure strip, Freewheelers. 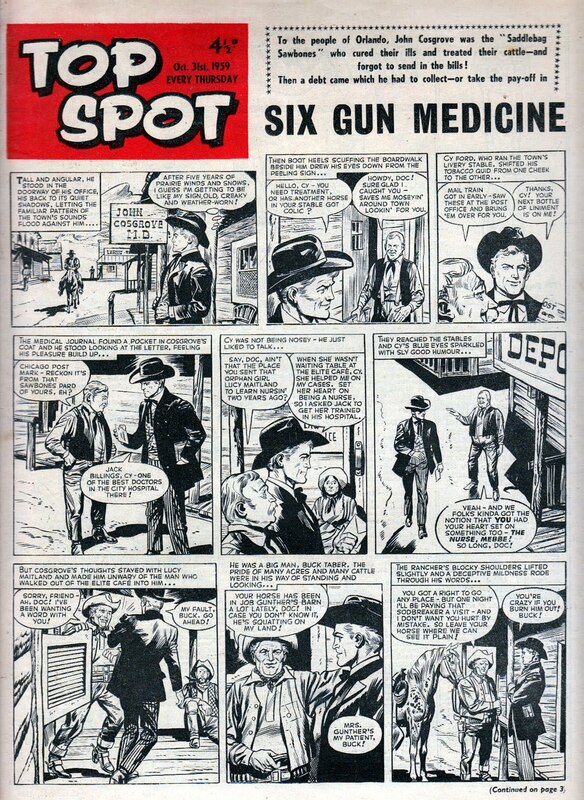 I think this opening episode was drawn by Vicente Alcazar. 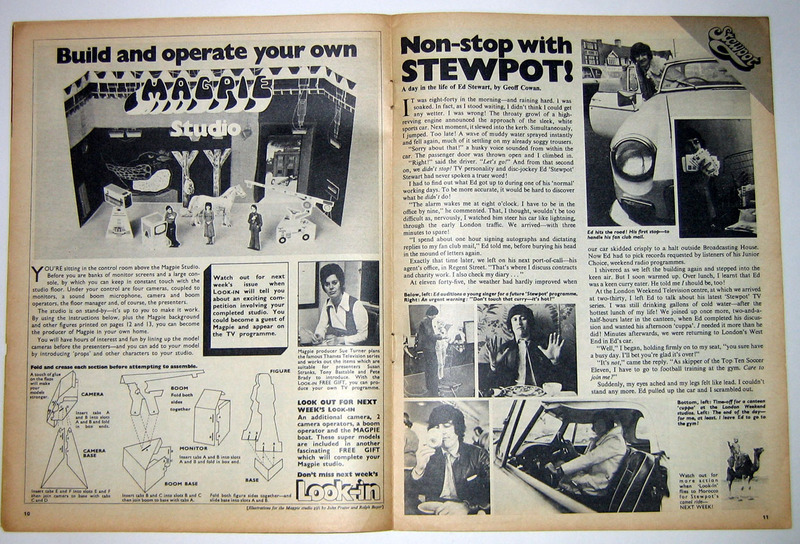 On page 10 were the instructions for building your Magpie Studio, and on page 11 was Stewpot, the regular column about radio/tv presenter Ed "Stewpot" Stewart, written by Geoff Cowan. 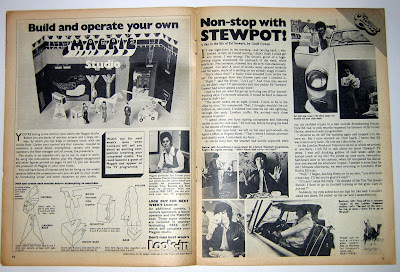 The centre pages featured the pull-out Magpie Studio and a few more props to go with the free gift (seen in the first photo at the top of this post). You even got a cut-out Floor Manager, but they forgot to print the base to stand him on. On page 14, Wreckers at Dead Eye, based on a Thames tv series I can't remember so I probably never watched it. Very nice artwork by C.L. Doughty. On page 15, Tony Bastable's Backchat. 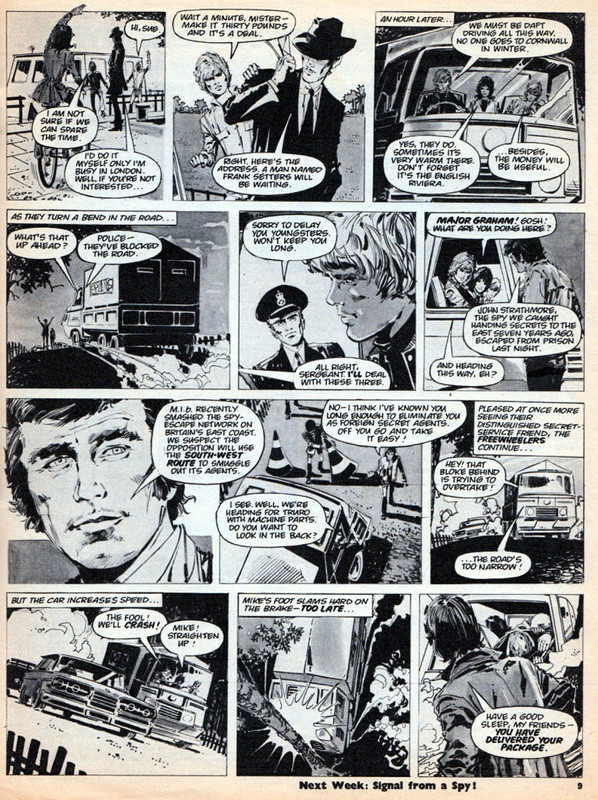 A load of waffle basically and perhaps the weakest page in the comic. 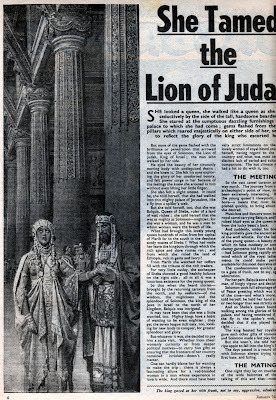 On pages 16 and 17, Please Sir!, based on the popular sitcom. The artwork was by Graham Allen, who had been one of the main contributors to Wham!, Smash!, and Pow! 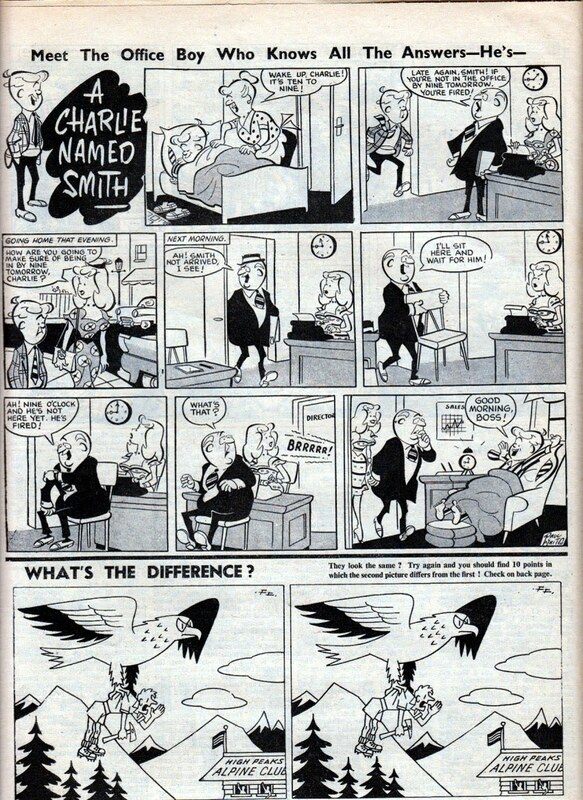 where he had adopted a Leo Baxendale type of style for his work on The Nervs and Tuffy McGrew etc. For Please Sir! he used a more realistic, but still comedic, approach. 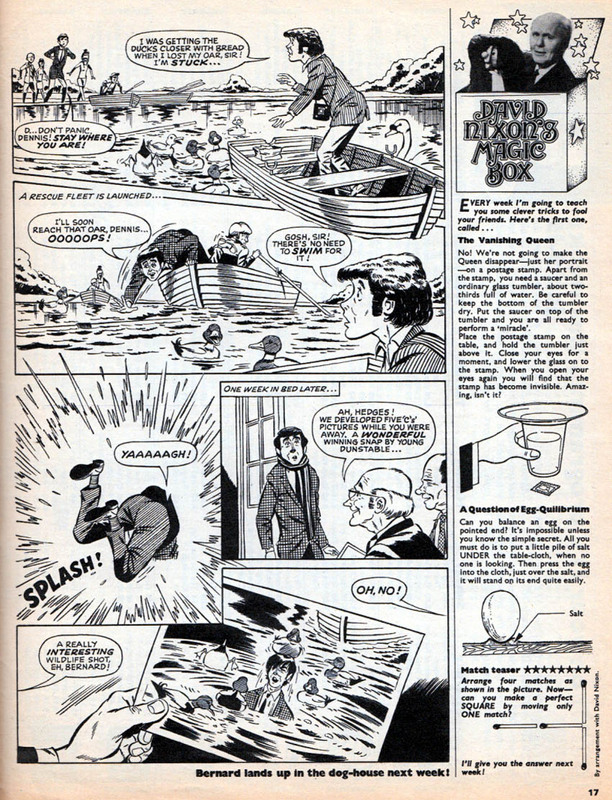 Taking up a column on page 17 was David Nixon's Magic Box showing readers some simple close up magic. 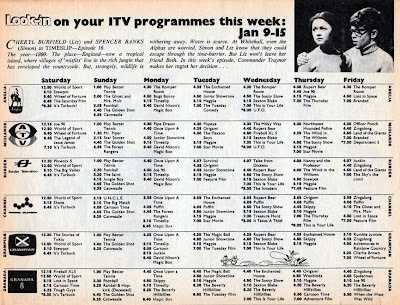 Pages 18 and 19 featured the programme listings for the coming week. 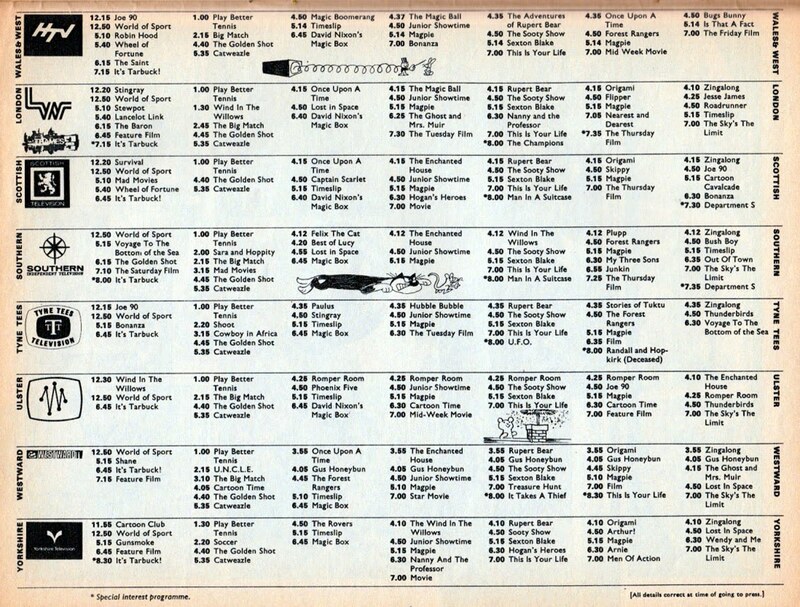 As you can see, the listings were very basic. 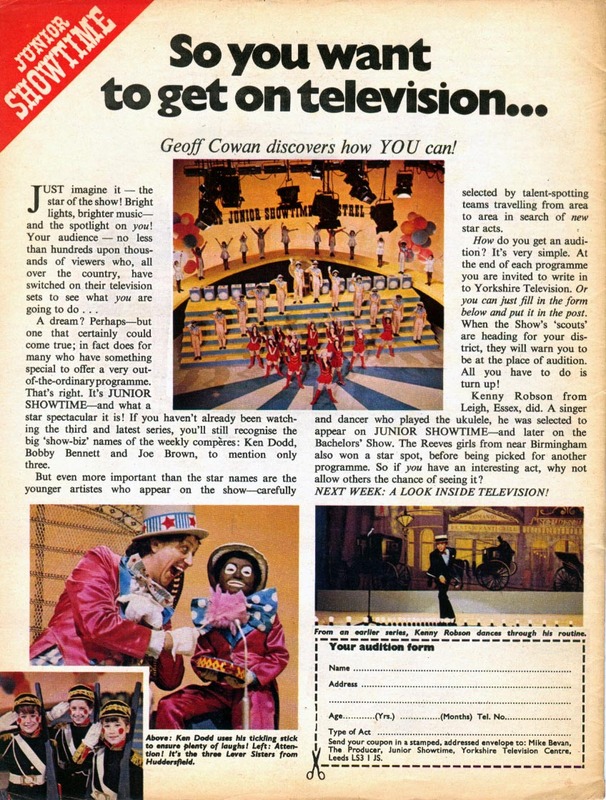 Apart from the featured programme at the top there's no synopsis or cast list, and it only focuses on the period that children would be out of school before the adult shows began. 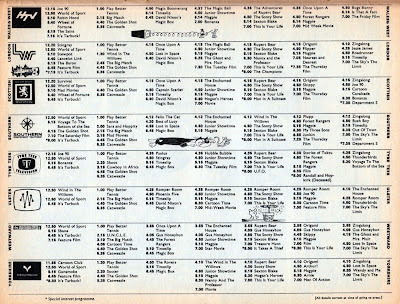 The most significant difference to modern times is that there are no soaps listed! 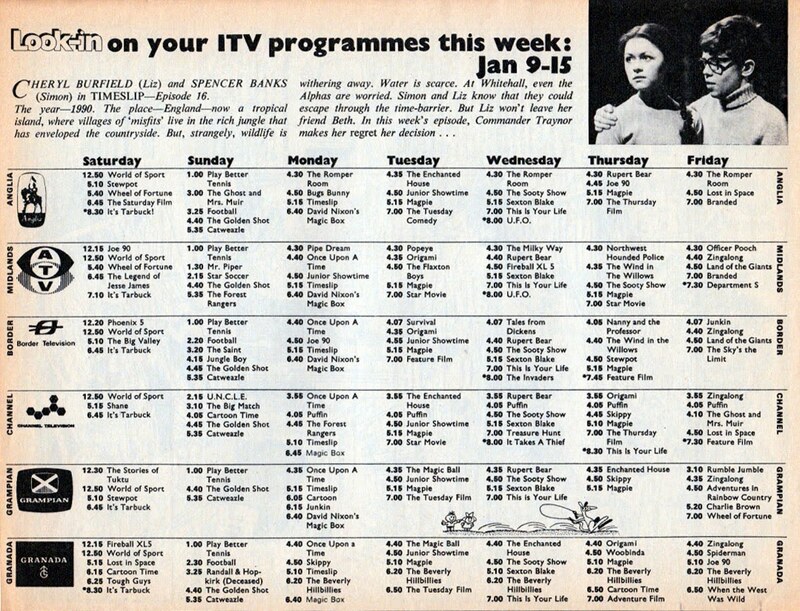 This was a time when Coronation Street and Crossroads were considered "Grannie's programmes" and no self-respecting kid would admit to watching them. Although many of us did of course as there was little else to occupy our time in the pre-home computer era after we'd done our homework and read our comics. 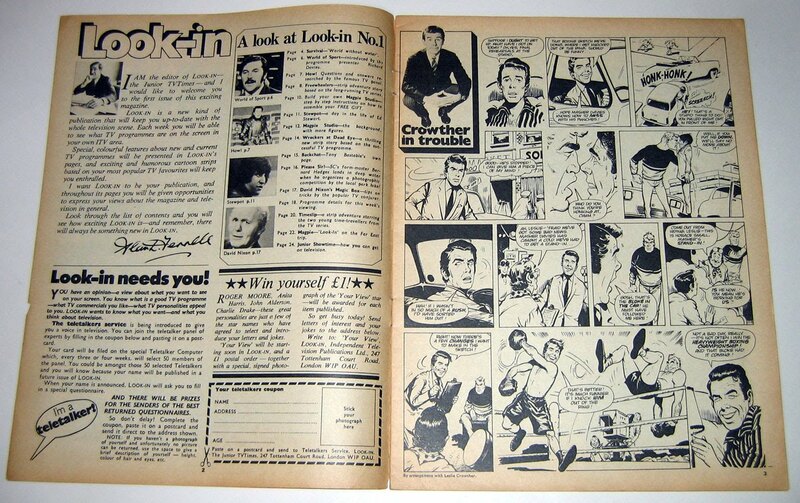 Pages 20 and 21 were the main attraction of Look-In for me. 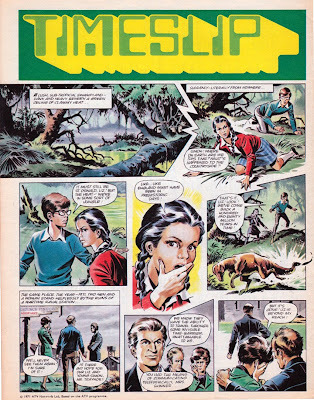 Timeslip, illustrated in glorious full colour by Mike Noble. 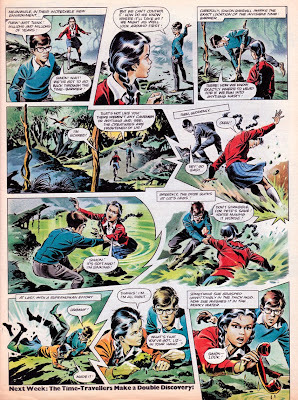 Not only was Timeslip my favourite children's show in 1971 it was now a comic strip by my favourite adventure strip artist. 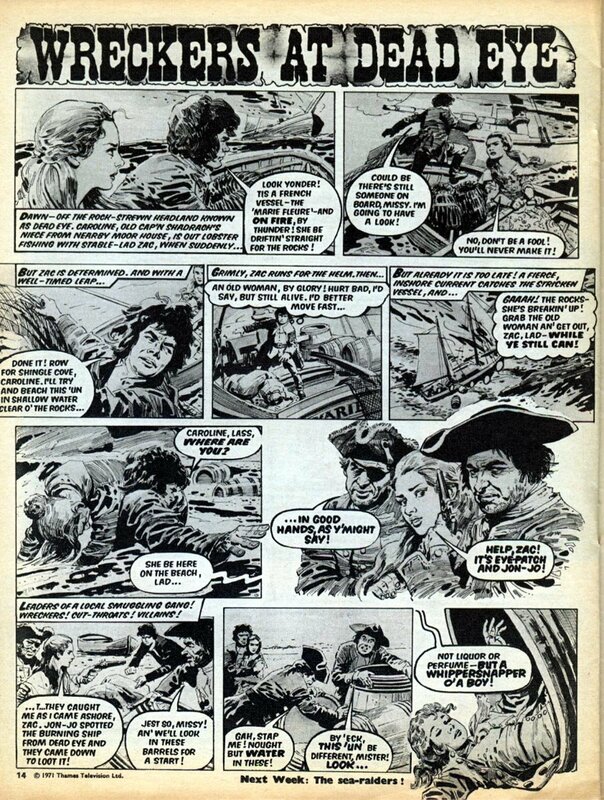 Mike Noble had worked with editor Alan Fennell on TV21 of course, so he must have been an obvious choice. 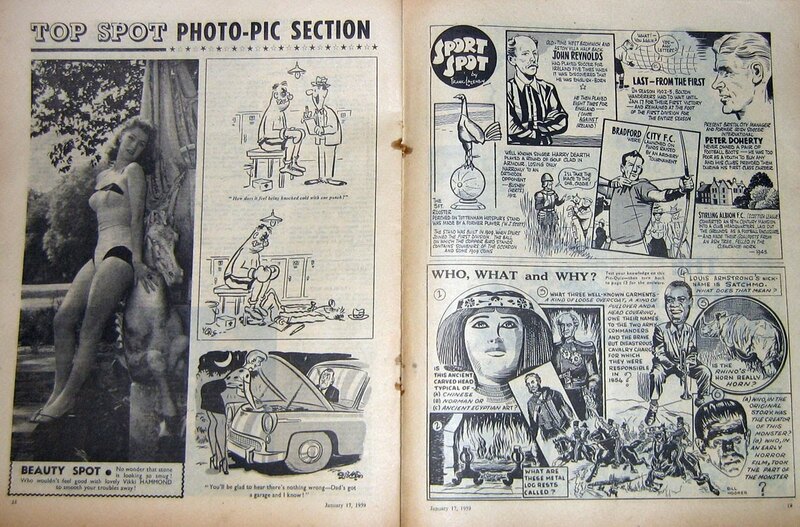 He would go on to illustrate many other strips for Look-In over the years. Pages 22 and 23 featured a Magpie photo feature on the presenters' trip to the Far East. 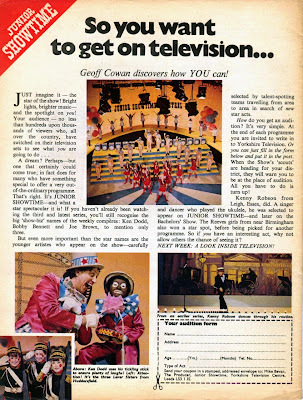 Finally, on the back page, Junior Showtime, the children's talent show, complete with an audition form for readers to send in! 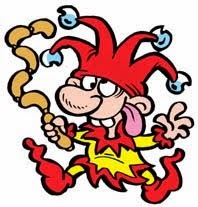 Hopefully there weren't that many readers blacking up in minstrel make up like the boy in the photo.